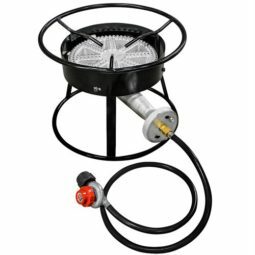 This burner is for outdoor use with liquid propane gas. The burner orifice is too small to use with natural gas. For more photographs of this product in use, just click here. 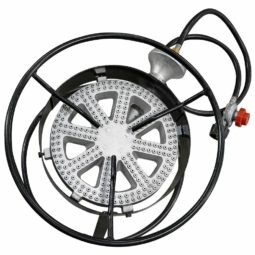 This burner features a single burner with brass valve attached to manifold with metal type panel. The burner orifice is too small to use with natural gas.